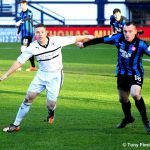 Raith Rovers’ poor run of league form continued when they were soundly beaten 4-2 by Hamilton Accies at Stark’s Park this afternoon. Rovers haven’t tasted victory in the Championship since mid-December, and the fact that the side finally found the net for the first time in five league games here will have done little to engender optimism as far as the club’s promotion prospects are concerned. 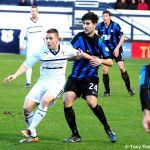 Prior to kick-off, the consensus was that Rovers could use last week’s memorable Scottish Cup triumph against Hibernian to kick on in the league. In his programme notes, manager Grant Murray acknowledged that, for all events at Easter Road were clearly a huge boost for the club, the league remained the most important competition of all. 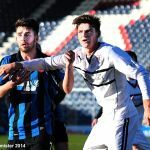 Murray was forced into making a change to his line-up in light of the injury sustained by Reece Donaldson in Edinburgh, with Fraser Mullen assuming his place in the starting eleven. 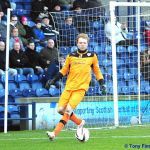 Perhaps more surprisingly, however, was the debut handed to Lee Robinson in goal, replacing Ross Laidlaw, who had performed so effectively not only against Hibs but ever since he stepped in for the injured David McGurn some months ago. The pitch was in astonishingly good condition given the recent heavy rain as the teams took to the field, although it was Rovers who made heavy weather of it during the opening stages, as Accies dominated proceedings. Indeed, it was the away side which threatened first, with former Dundee United and St Johnstone striker Jason Scotland shooting narrowly wide from outside the box with only four minutes played. 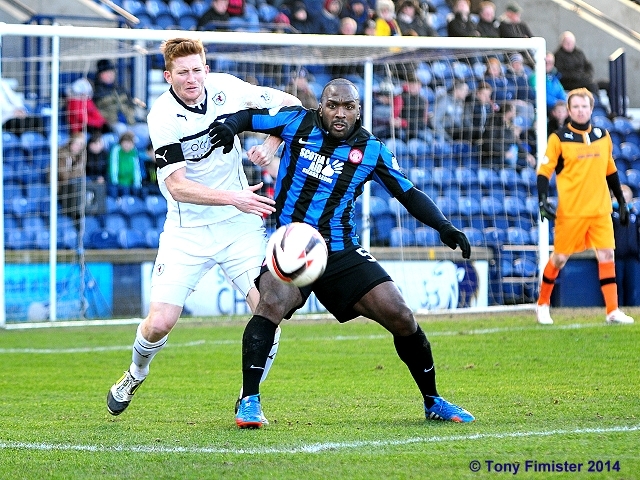 This encouraged Accies, however, and they took the lead a minute later. Anthony Andreu picked up the ball 25 yards from goal, and was afforded the time and space to fire a rising shot beyond Robinson’s despairing dive into the top corner of the net. If the home fans anticipated a response from their side, they would have been disappointed, as the visitors continued to press forward at pace at every opportunity. James Keatings came close to doubling Accies’ lead with a shot that flew past the post, before Scotland tried his luck with a quick turn and shot that failed to trouble the Rovers keeper. 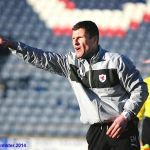 The sight of John Baird warming up gave the Rovers fans something to cheer, as the home side toiled to develop any rhythm whatsoever – tackles were missed, passes went astray, and Kevin Cuthbert in the Accies goal was a spectator as the opening half progressed. Most troubling of all, Accies appeared as if they might score every time they ventured near the Rovers goal. However, things were about to get a lot worse for Rovers in a calamitous final ten minutes of the first half, a period which saw three further goals conceded, and the game effectively finished as a contest. 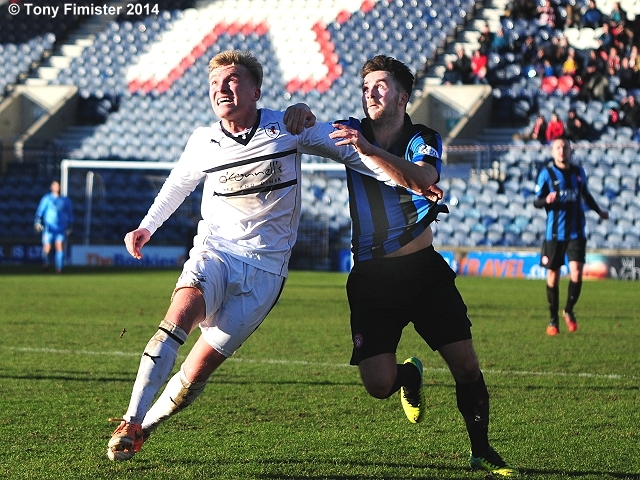 Firstly, with ten minutes to go before the interval, Accies scored a second goal. Keatings left Moon for dead as he surged down the left flank, and his inviting cross found Andreu, who scored his second goal of the game with a firm header beyond Robinson into the corner of the net. 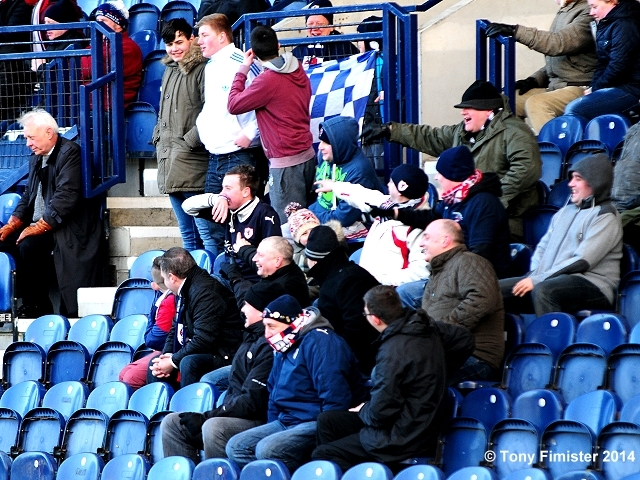 Rovers were still reeling when they fell further behind. Darting in from the right wing, Louis Longridge pounced on a loose ball and, despite the attentions of Robinson, the winger found the far corner of the net via the inside of the post. Things then went from bad to worse for Rovers when, as they longed for the comfort of the half-time whistle, Accies plundered a fourth goal. Keatings was felled as he sprinted into the box – referee Willie Collum had little option but to point to the spot – and the same player made no mistake with the penalty, his low shot finding the bottom corner of the net. 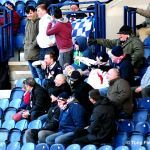 As the Rovers players trudged off the pitch at half-time, the fans vented their fury over what must go down as one of the most abject 45 minutes of play witnessed at Stark’s Park in living memory. 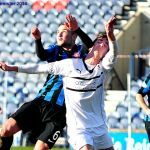 Although the second half was ultimately about damage limitation from Rovers’perspective, manager Murray made two changes at half-time in a bid to galvanise his side, with Baird and Gordon Smith replacing the ineffective Greig Spence and Liam Fox. Despite this, however, it was Accies who continued to look dangerous going forward, and they twice came close to extending their lead early in the second period. Robinson produced a fine save to deny Keatings, although Grant Anderson missed a fine chance to reduce the deficit for Rovers when he shot tamely wide of the target from a promising position inside the box. Martin Canning was fortunate to escape a caution for a crude challenge on Joe Cardle, before the Accies defence somehow scrambled the ball to safety following a Rovers corner. Despite Rovers’ efforts, the game began to peter out as it entered its final quarter, as Accies settled on their handsome lead. Keatings then missed a good chance to score a fifth goal for the visitors, as did substitute Mikael Antoine Curier, whose hesitation when through on Robinson allowed the keeper to smother his weak shot. With ten minutes remaining, and many Rovers fans having long since departed the stadium, Rovers finally fashioned a goal. Joe Cardle picked up the ball on the left hand side of the penalty area, and the winger despatched his shot beyond Cuthbert with aplomb. Given the circumstances however, Rovers’ first league goal since December was met with understandably muted celebrations. 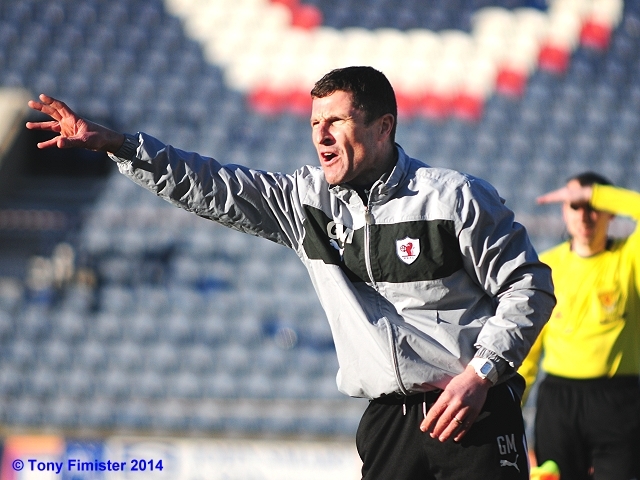 Astonishingly, with time running out, Rovers managed to reduce the deficit further, courtesy of John Baird. The little striker showed he still has a nose for goal when he latched on to a through ball and shrugged off a challenge before drilling a low shot into the corner of the net from ten yards. In the end, two late goals restored a measure of respectability for Rovers as far as the final score was concerned, but there could be little doubt that this was a wretched performance from the home side, one which may do untold damage to the team’s prospects for promotion this season. If a week is a long time in politics, so it is an eternity as far as the beautiful game is concerned. Those who witnessed this abject performance would barely have believed that this side had put Hibs to the sword so impressively only seven days before. 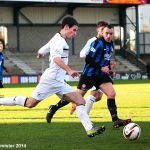 Whether Rovers manage to recover from this setback remains to be seen, but suddenly the cups, rather than the league, appear to offer Rovers their best shot at glory this season. Laidlaw on the bench despite his heroics last Saturday. Donaldson joins him with Robinson and Mullen starting. Thomson at centre half alongside Hill. Welcome to a sunny Starks Park. Crowd is significantly down on last Saturday! GOAL HAMILTON. Andreu blasts it in the top corner from 25 yards. Terrific strike, but the defence backed off him. 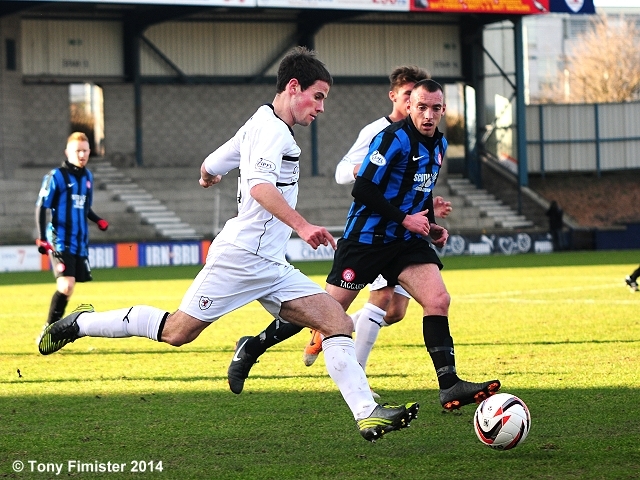 Callachan cuts out a through ball acrobatically. Rovers struggling to get into this game. Rovers not in this game yet. Our 5 man midfield are chasing shadows and seeing very little of the ball. Keatings inches wide after a Scotland lay-off. So close to the 2nd goal Hamilton deserve. GOAL HAMILTON. More poor defending as Andreu rises unchallenged to head in a Keatings cross. Grim stuff. Rovers are as poor as I've seen them this season. 3-0 to Hamilton. Again we fail to deal with a simple through ball, and Longridge puts it in off the post. Ridiculous defending. Penalty to Hamilton after Hill sells the jerseys and Fox dives into a tackle. Keatings scores it. Surely can't get any worse than this. What a difference a week makes. Big changes needed at the break. All subs still out there on the pitch apart from Baird and Ellis. Baird and Smith on. Spence and Fox off. Andrieu shoots Robinson parries it over the bar. Rovers break Anderson runs and selfishly shoots wide with Baird in a better position. Kilday hobbles off assisted by the physios. 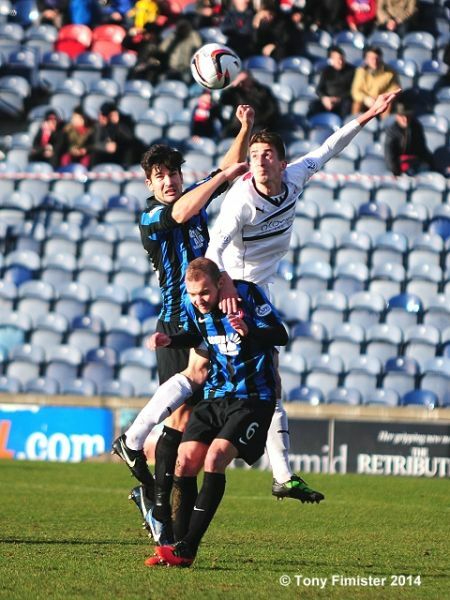 Cardle feeds Callachan. Shoots but ball parried and saved by Cuthbert. Baird cross too far in front of Smith. Still huffing and puffing.....Hamilton happy to sit back now.. Brilliant from Robinson. Curier beats the offside trap but can't nutmeg the debutant keeper. 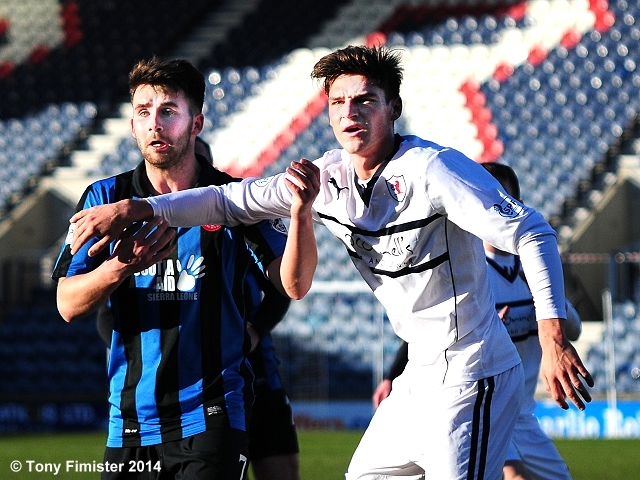 GOAL RAITH! Cardle buries the ball in the bottom corner. The comeback's on! Callachan curls one wide from 30 yards. This lad loves a long shot! 4-2! Baird with his first goal since re-signing! +2 Callachan fires over, and it's the last kick of the game. Passable performance after the break, but an appalling first 45. The score line could have been much worse, and doesn't reflect how poor we were today. Guess who's shoe landed on the pitch. 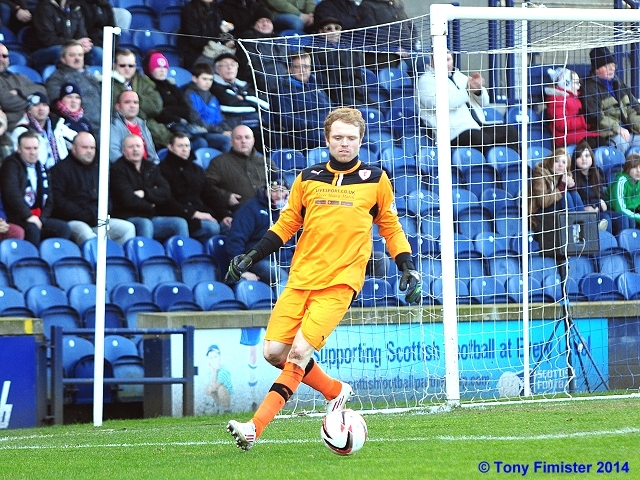 At least Raith got the ball in the net. 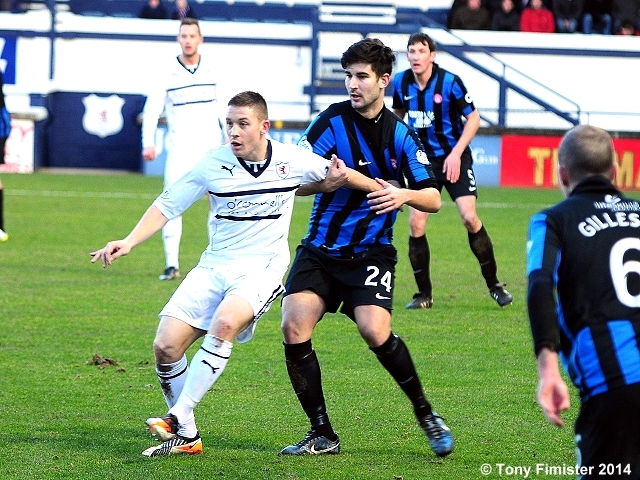 John Baird hits Raith's second goal . 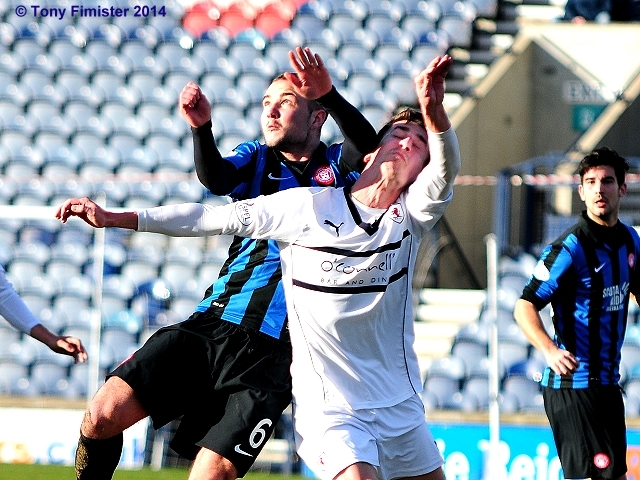 Joe Cardle pulls one back for Raith . John Baird and Darian Mackinnon. Jesus Garcia Tena holds off John Baird. Grant Anderson gives no quarter. Grant tries to stir the troops. The two Jasons, Thomson and Scotland. The two Grants, Gillespie and Anderson .